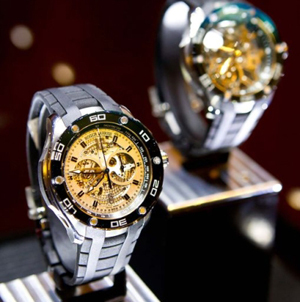 Roger Dubuis - partner Russian Federation of Bobsleigh. The famous watchmaker Roger Dubuis recently at the "Park Hyatt"
The famous watchmaker Roger Dubuis recently at the “Park Hyatt” at a press conference to announce the partnership with the Russian Federation of Bobsleigh. The partnership will support the brand of the Russian national bobsled in conquering sports tops. President of the Federation of Bobsleigh Russia George Bedzhamov about it, said: “We are delighted that our official partner was such a wonderful watch companies like Roger Dubuis. This cooperation should have on our team a positive impact. As you may have noticed, this year’s Russian team bobsled World Cup has made remarkable progress.